Samsung has been accused of ripping off the intellectual property behind the iPhone and iPad since the last year, when Apple filed the patent suit against its Korean competitor. Samsung has not only attempted to defend its reputation, but has even countersued and alleged that Apple violated some of its patents. The patent war seems to be never ending since then. Many have considered Apple’s argument about the trade dress of its devices as a “senseless” one about a rectangle. 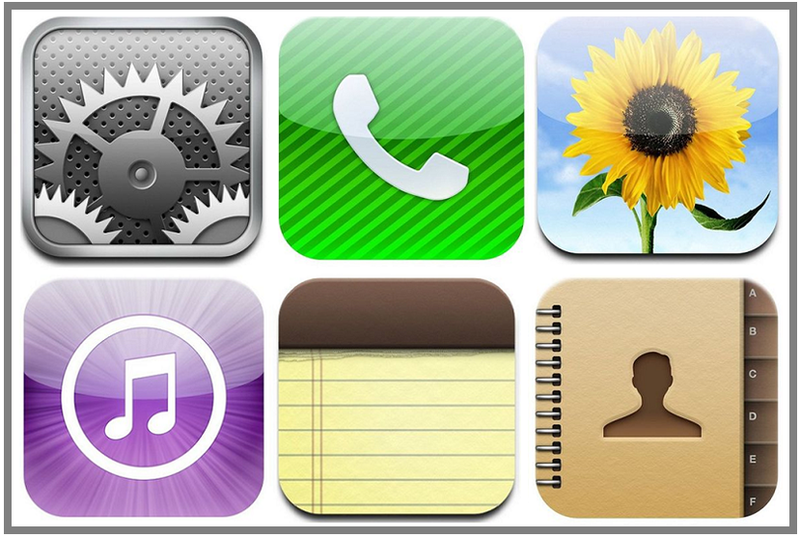 With both suits currently on trial, Apple has just presented the comparison of different icon designs, claiming that "Samsung is also infringing Apple's icon trademarks by advertising and selling a wide variety of products using confusingly similar icons. The icons on these products were intentionally designed to look like Apple's icons and infringe Apple's trademark rights." So it is not about just a rectangle, but Samsung is now accused of snatching the ideas and work put into the graphics for its devices. The devices Apple claims are equipped with stolen icons include: Samsung Captivate; Continuum; Droid Charge; Epic 4G; Exhibit 4G; Fascinate; Galaxy Ace; Galaxy S (i9000); Galaxy S 4G; Galaxy S II (AT&T Edition, 4G); Galaxy S II (T-Mobile Edition); Galaxy S II Epic 4G Touch; Galaxy S II Skyrocket (4G LTE); Galaxy S Showcase; Gem; Gravity Smart; Indulge; Infuse 4G; Mesmerize and Vibrant. On the other hand, lawyers of the Korean manufacturer argue that the designers working for Samsung have just been inspired by Apple’s products, while the devices are extremely different in important ways, considering company’s long history of innovation. Even an inexperienced eye will find it effortless to say that the icons by Samsung look like mash ups of different iTunes logos. However, the jury is still in process of making decision about whether this is a violation of Apple’s patents or not. The trial is widely expected to continue till the end of the week, so stay tuned not to miss any important notice about the topic. Check the images provided below and judge yourself : is Samsung a copycat or not? !